Reactivation and re-energising of unused lobby space. 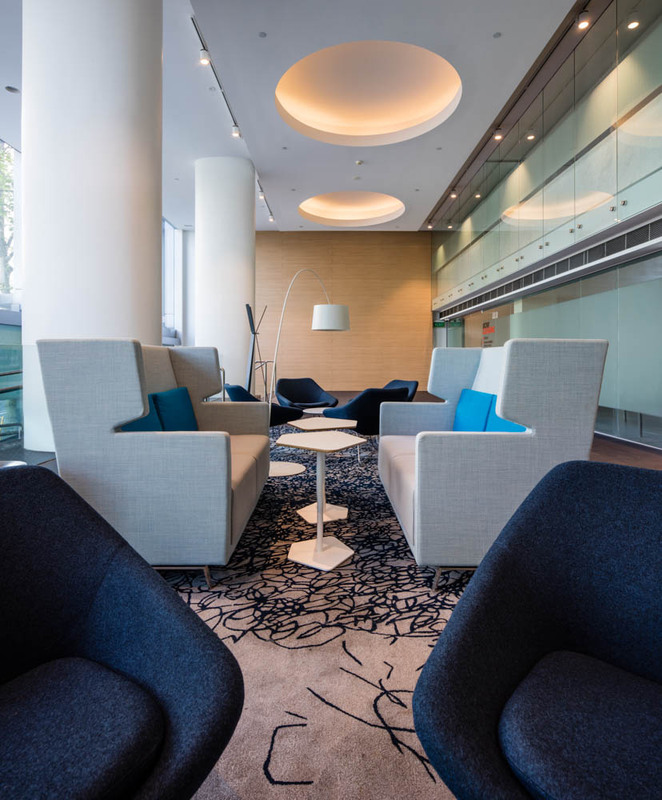 Futurespace was engaged to work with property managers CBRE and building owners Stockland to refurbish the lobby space at 77 Pacific Highway, North Sydney. The clients’ main objective was the reactivation and re-energising of the space. A concept proposal was prepared, addressing the building positioning, tenant sector and demographic, traffic flow, user needs, access to existing café and tenant requirements. Futurespace also considered the existing materials and finishes in the lobby (which were of very high quality) to address how they could be reused to their maximum potential. Various work settings were provided to allow for casual meetings and encourage the use of the space rather than simply as a thoroughfare. New floor tiles, acoustic wall panels, energy efficient lighting and furniture wer provided in a combination of heights and sizes allow. The new settings create an agile, flexible space for ad-hoc meetings or coffee catch ups. A new custom designed feature rug was also installed. New painted interiors and general make good to the existing finishes all assisted in raising the look and profile of the lobby both internally and from the street. A new digital directory board was included as part of the refurbishment to assist with wayfinding for both occupants and visitors. Pedestrian ‘flow’ was improved via an interconnecting stair that was designed to allow direct connection between the lobby and café space. A raised platform was incorporated to delineate the café space and formal lobby area setting but also to extend as an architectural feature of the stair. 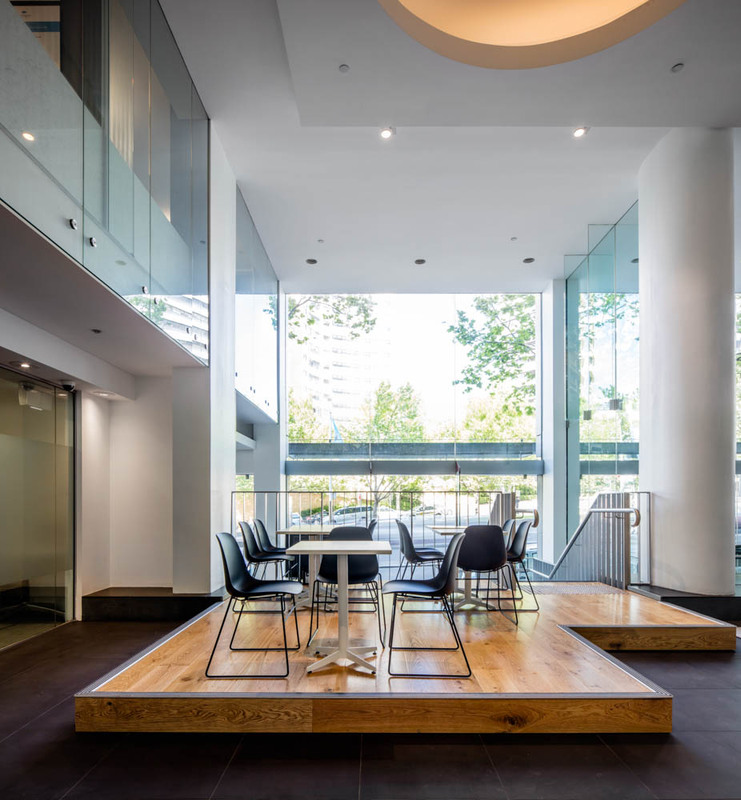 The stair not only provided direct access from the lift lobby to the café space but also encouraged the use of the café by the building tenants for functions and presentations occurring in the building.